Follow the yellow brick road. Dorthy following the yellow brick road with toto. 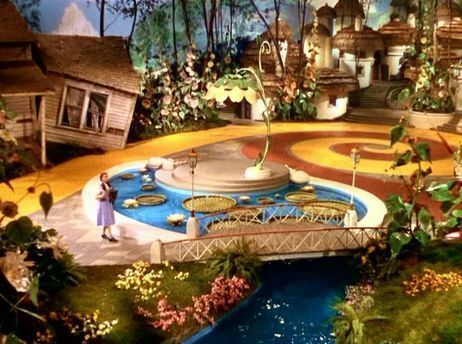 Wallpaper and background images in the Le Magicien d’Oz club tagged: the wizard of oz classic film yellow brick road image. This Le Magicien d’Oz photo contains resort, hôtel, station de vacances, station, hôtel de vacances, resort hôtel, and lieu de villégiature. There might also be hôtel de villégiature, spa, hôtel, resort hôtel, patio, terrasse, and villa.